The Williamsport Regional Airport is publicly owned and operated by the Williamsport Municipal Airport Authority. 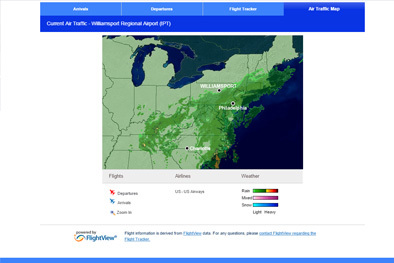 Daily airline service is provided by American Airlines to their Philadelphia International Airport hub. 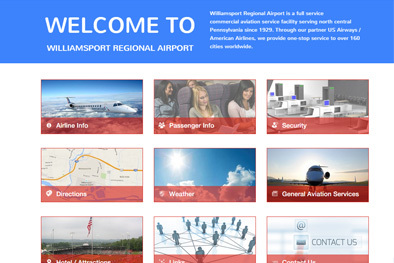 Williamsport Regional Airport was looking to update their website to a modern look, integrate with Flightview's real-time flight tracking and provide a mobile friendly user experience. 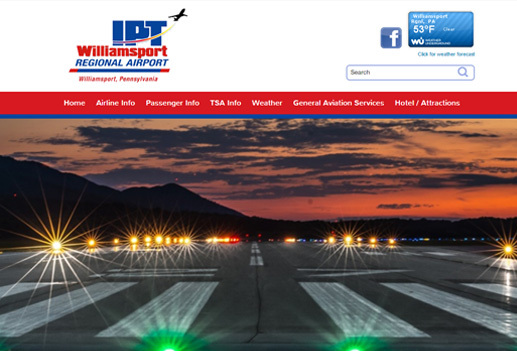 We provided Williamsport Regional Airport with an updated responsive website that seamlessly integrates with Flightview's real-time flight tracking system to provide travellers with up to the minute flight status and tracking. This new website provides a user-friendly experience across all devices.